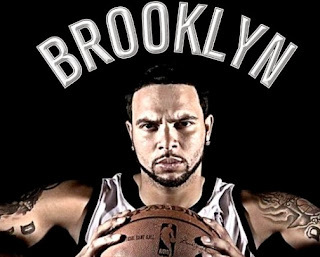 1.Chemistry Although the Nets have a great roster on paper, the meaning of it all will diminish if they fail to show chemistry on the court. It can be hard to believe that a team with 5 starting all-stars won't find a way to work with each other, which players of such high caliber don't usually have a problem doing, but stranger things have happened and failure in chemistry can be one of them. Even with 5 all-stars and a solid bench, if the proper chemistry is not established then the Nets may be headed for a rough season. 2.Coaching Coaching is a big factor in a teams' success, which showed last year as the Nets lost many of their games with Avery Johnson as coach until they were able to flip the script under the wings of now former coach P.J Carlesimo. After P.J. 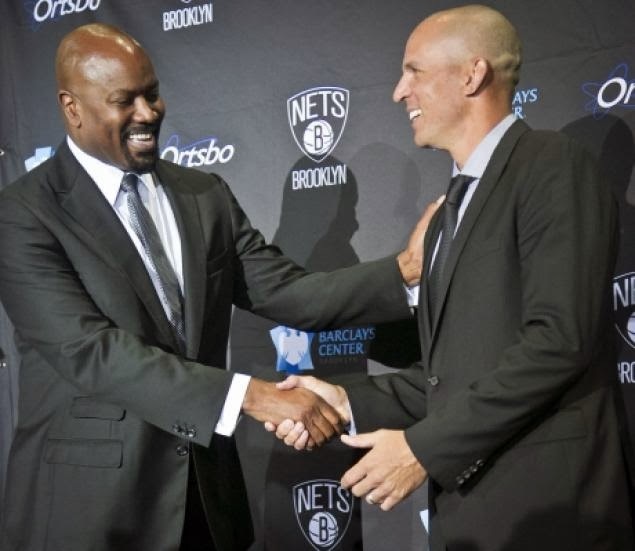 Carlesimo retired from the Nets head coach position, Brooklyn acquired Jason Kidd to be their new head coach. Despite Jason Kidd being a great player and having a great basketball mind he is in a whole different field now and will not be able to control the flow of the game by being on the court anymore. 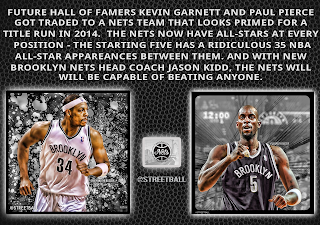 3.Last year's example Last year before the 2012-2013 season even started the Nets looked good on paper and was projected by many to be in the top 3 or even the top 4 of the eastern conference. Not only were they projected to be in high eastern standings, but they were also projected to be an all around elite team that would beat their rivals in the New York Knicks and go further in the playoffs. Just because they failed to meet those expectations last year does not mean that they will fail this upcoming season, but it also doesn't mean that they are prone to repeat the past. 4.It Is Just The Preseason It is noteworthy to mention that the Nets are doing exceptionally well in the preseason winning 4 of 5 games, but unfortunately that means nothing going into the regular season because many things can change by then. For one thing many teams are not using their full starting lineups in hopes of using and testing many different players who are determined to make a teams' roster spot. 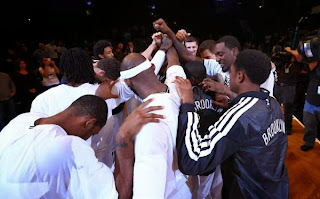 Even if the Nets have a great run in the regular season and manages to make top 3 in the eastern conference, it doesn't guarantee going far into the playoffs' as can be made an example of by the Oklahoma City Thunder(OKC), who exited early to the Grizzlies due to the loss of their starting point guard Russell Westbrook. 5.The Season Hasn't Started Despite what fans and television analysts may say, the season simply hasn't started yet. The NBA is an unpredictable league that consists of many ups and downs. In the NBA you could go on a seven game run and lose your next 13 for example. 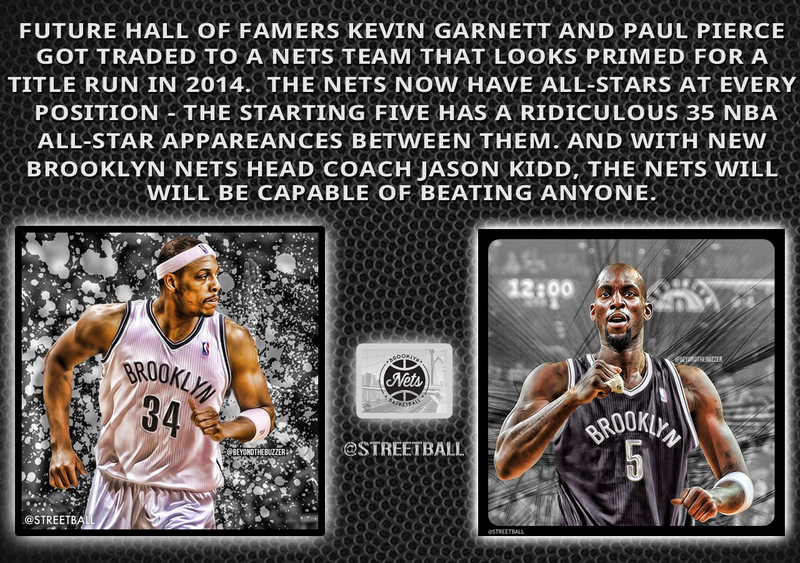 There are also many factors that can make or break the Nets which can apply for any other team in the NBA. Some of the factors would include those mentioned above with the added factor of injuries. Injuries are terrible incidents that occurs in sports and affects players of all ages, but with some of their core players in Paul pierce and Kevin garnet continuing to age they may very well become more prone to injury than they were before. With that being said they may also have a breakout year from one of their star players, or even a player coming off the bench if he manages to get the minutes and or the opportunities. A breakout year is not far fetched even from their veteran players as shown by James Harden, LeBron James, and Carmelo Anthony.